Fungal infections are no day at the beach. 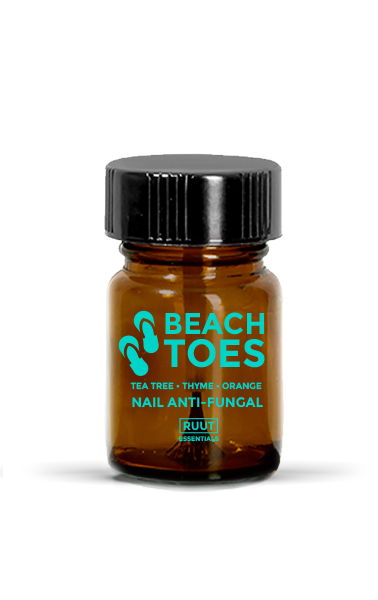 If your toenails are suffering from fungal infection, then our blend of tea tree, thyme, and orange essential oils can bring relief in a natural and safe way. Essential Oils For Toe Fungus: Fungal infections are no day at the beach. If your toenails are suffering from fungal infection, then you should know that it won’t be going away on its own. Oral anti-fungal drugs can have harsh side effects, so it is always good to consult your doctor about what kinds of treatment will be right for you. Tea tree oils have long been hailed as the natural cure for fungal infection, and our blend of tea tree, thyme, and orange essential oils harnesses these anti-fungal properties for good use. Not only can you restore your toes to good health over time, but foot odor should be improved immediately.